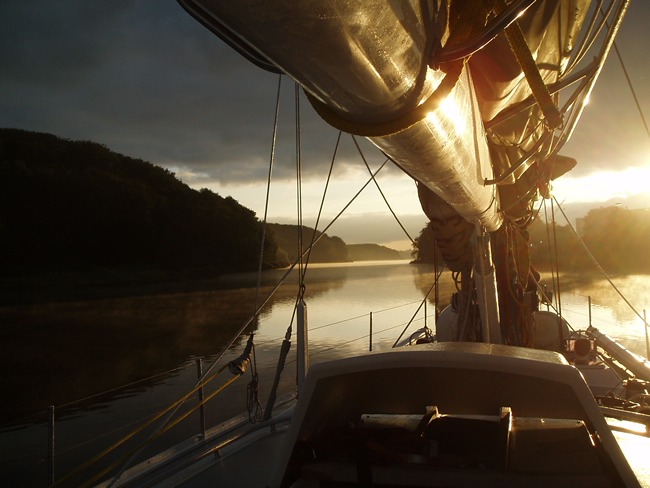 It is another new year and most of us have tucked away our boats for the long winter of hibernation here in the North. This boat hibernation is not localized to just the northern part of the US, Boaters from San Fransisco Bay (and the Chesapeake on the Easy Coast) north usually park their vessels until the first days of spring. So here are some New Years resolutions. 1. Prep the boat and do that one job that you have been putting off. There will be time right before you launch for paint, varnish and epoxy (and the weather will be warmer) in the spring. Now is the time to install those LED navigation lights, rewire the power distribution panel, change the steering helm and cables or fit a new toilet to your slumbering vessel. Pick just one job and follow it through so that you will be ready to play this next season. 2. Take a Boater’s Safety Course. Many States are requiring boaters to have completed a boaters safety course; currently, only 9 do not. Locally, the state course is often a one time class that you might not have to take for years, yet you could just ‘get it out of the way’. Some insurance companies offer a break for taking a course. The US Power Squadron (USPS) has come up with a boating safety course suitable for any students situation. There are several ways that you can take a USPS course, in class, online or through an interactive CD-ROM. Lastly, get those who boat with you aboard your vessel to complete a course – better yet, take it together. 3. Plan your next journey. Look up the information and make plans for your next boating adventure. One of the easiest ways to plan the route is using the C-Map system in your chartplotter. 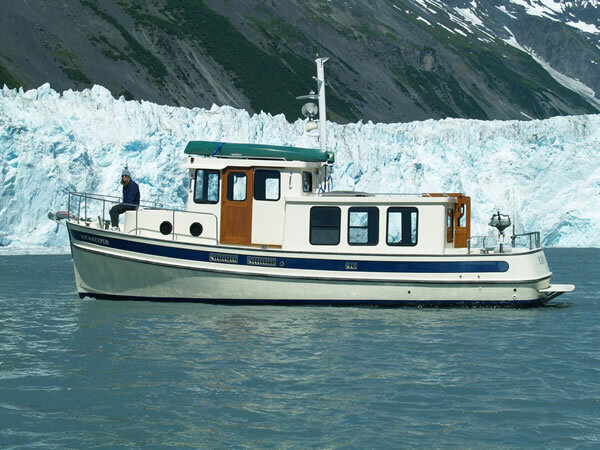 Whether you are taking a trawler down the Intercoastal Waterway, a sailboat adventure to Alaska or just planning to visit those local lakes that you always wanted to fish. Internet research is easier than ever with private blogs about people doing similar things, YouTube videos or professional tour sites. Plan for those dreams and make them possible. 4. Join a professional organization that helps on the water. Volunteers are needed by the US Coast Guard Auxiliary (USCGA), Fish and Wildlife, Environmental study groups and others. There is no way better to connect with people and the marine enviroment as there is when you give your time. Whether it is helping repair a local boat ramp, counting spawning fish or inspecting vessels as a member of the USCGA, it is hard to find a more rewarding effort in a place that you care about. 5. Speaking of vessel inspection; get a vessel safety check by the USPS or the USCGA. Be a proactive boater and arrange to get this simple inspection that confirms that you have right equipment aboard (which you should have). The inspection is voluntary and is not boarding or a law enforcement issue. No citations will be given as a result of this encounter. You will be supply with a copy of the evaluation so that you may follow some of the suggestions given. Vessels that pass will get a VSC decal. 6. Get others involved in boating. Take a friend and expose them to boating. Send someone you care about a marine magazine. Share the enjoyment that you get from boating and take someone else down to the docks. Nothing fosters support better than those you care about getting involved with something you care about. 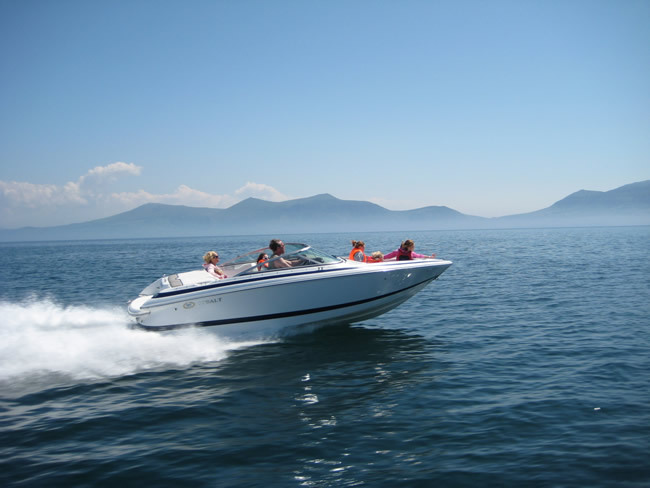 Boating is about how the activity makes you feel as mush as it is about doing the activity. 7. Get a new or used boat. Now is a great time to purchase a boat – and what better activity that readying yourself for ownership in a boat if you have not had one. It is also a great time to upgrade to a larger vessel. A co-worker here bought a smaller sailboat so that their children might learn to sail a boat by themselves. Get one of those new smaller kayaks so that you can explore the shore while anchored in the perfect place. Whether big or small, increasing your boat stable may just help you spend more time doing what you truly care about. Me? I have an electrical panel to install and have been putting off helping a friend who is a volunteer with a shoreline group… My resolutions for this year. A new boat engine constructed by Warren’s Pearson Composites uses a Master volt Lithium-Ion electric saildrive system to navigate the waterways without the use of gasoline. 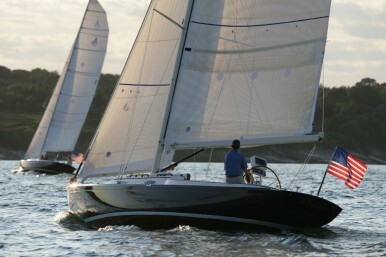 The motor of the Alerion Express 33 can travel for 15 to 20 miles on a single battery charge, depending on the vessel’s speed, crew numbers, wind and weather, EastBayRI.com reports. Additional battery packs can be added to extend the boat’s range. Boaters who have tested the vessel reported that the quiet operation and smooth navigation were the most surprising attributes of the Alerion Express. Despite this recent design breakthrough, the vast majority of boats still operate on either diesel or gasoline fuel, and require replacement mechanical parts to maintain proper function. Internal combustion marine engines contain a marinized exhaust manifold that dispenses exhaust from its cylinders. High velocity exhaust, long-term use and harsh environmental conditions can threaten the life of this part. Barr manufactures replacement manifolds that can be substituted for corroded, failing manifolds. Even if you don’t own a cutting-edge electric powered boat, you can make you own boat engine operate efficiently and offer a long service life with quality replacement marine parts.